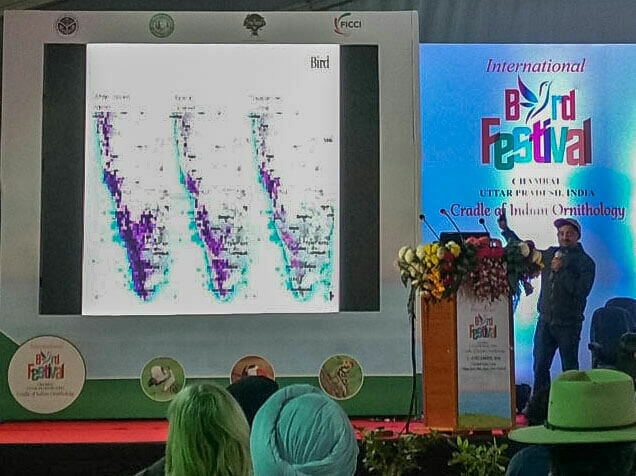 The recently concluded UP Bird Festival brought together birdwatchers from across the world to Chambal for three days of presentations, workshops, exhibitions, birding and socialising. It was great to see several references to, and examples using, eBird by various different speakers. Pamela Rasmussen, author of Birds of South Asia, spoke about “New and Potential Additions to India’s Avifauna“. 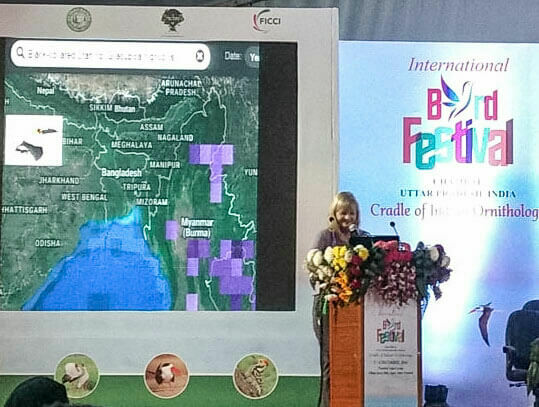 She used several different eBird species maps to illustrate how some species that occur in Myanmar and China are very likely to occur in, as yet undiscovered, parts of Arunachal Pradesh and elsewhere in the North-east. 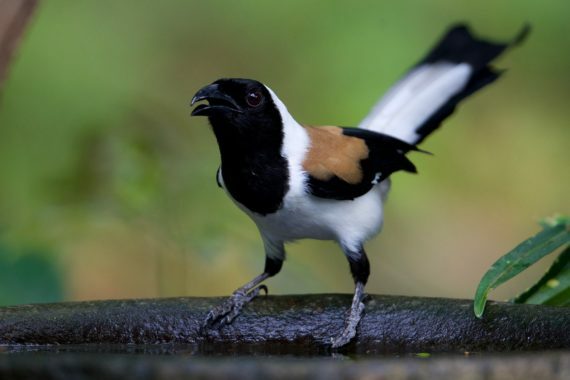 For example, check out the species maps for Giant Laughingthrush and White-rumped Falcon, and pay close attention if you are birding in similar habitat at similar elevation in the North-east: you could discover a first for India! Tim Inskipp, author of Birds of the Indian Subcontinent, gave a presentation entitled “Assessing the status of birds in India, including preparation of state checklists“. 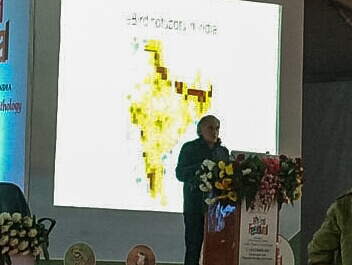 Tim used a hotspot map of eBird India to show coverage of observations and how these could be analysed in detail to come up with authoritative state checklists. Praveen J gave a very well-received overview presentation about Bird Count India and the use of eBird to the audience. As well as an introduction to using eBird for submitting checklists and for analysing data, Praveen highlighted some of the major events and projects that Bird Count India and its partners have been involved in, such as the GBBC and Endemic Bird Day, and the Atlases in Kerala and Mysuru. The audience were particularly impressed when they found out that we have more than 4 million observations from India, and many people, from India and abroad, were inspired enough to start using eBird themselves. Of course, a large meeting of birders wouldn’t be complete without some good birding. Already 140 lists have been added to eBird for the region, including some nice sightings such as a migrating Short-eared Owl high overhead, both Greater and Hume’s Short-toed Larks (but no Sykes’s! ), and Black-bellied Terns (but unfortunately no Skimmers).